In his Executive Order, Border Security and Immigration Enforcement Improvements, (January 25, 2017) President Trump directs the DHS Secretary to use the “process of expedited removal” under Section 235(b) of the Immigration and Nationality Act (INA or Act) to individuals present in the United States who cannot affirmatively show that they have been continuously physically present in the United States for two (2) years prior to the date of their apprehension. Under INA § 235(b), which governs Expedited Removal, an Immigration and Customs Enforcement (ICE) officer may order an individual removed from the United States without a hearing or further review, if the Immigration Officer determines that the individual is inadmissible to the United States under either INA §§ 212(a)(6)(C) (fraud or misrepresentation) or (a)(7) (not in possession of valid visa/entry documents). 2) Individuals present in the United States who cannot affirmatively show physical presence in the United States for the 2-year period prior to the determination that he or she is inadmissible on fraud or document-related grounds. Arriving Aliens have been subject to Expedited Removal since 1996 and are not the group of individuals discussed here. Until January 25, 2017, Expedited Removal has only been used for the second category, individuals present in the United States, if they were encountered within 100 miles of the border who have been in the United States for less than 14 days. Memo, Mead, Ex. Assoc. Director, ICE Strategic Use of Expedited Removal Authority (Apr. 5, 2011). Until now, all other individuals apprehended inside of the United States without immigration status have been entitled to an Immigration Removal Proceedings under INA § 240 before a U.S. Immigration Judge. Individuals in Section 240 Immigration Removal proceedings before an immigration judge have the right to retain counsel; explore their options for immigration relief; if eligible, defend themselves against removal from the United States by applying for an immigration benefit; and in many cases, request release on bond while immigration removal proceedings are pending. Due to a shortage of Immigration Judges in the United States, immigration removal proceedings often take several years to complete. In contrast, Expedited Removal under INA § 235(b) is a rapid deportation by an ICE Officer without any review by an Immigration Judge. People in Expedited Removal proceedings are subject to mandatory detention and are not eligible for bond. 8 CFR 235.3(b)(2)(iii). Expedited Removal authorizes ICE officers to act quickly, and this frequently results in a rapid deportation with little input or communication with the apprehended individual’s family or attorney. However, it is important to understand that people inside of the United States and in Expedited Removal proceedings have a right to due process of law. Zadvydas v. Davis, 533 U.S. 678, 682 (2001), Mathews v. Diaz, 426 U.S. 67, 77 (1976). Now, more than ever, we must ensure that these Due Process rights are honored. We can expect that under the new directives from the President, ICE will begin utilizing Expedited Removal procedures throughout the country. We can expect that individuals who have been in the United States for many years could be placed in Expedited Removal if they cannot establish “to the satisfaction of the immigration officer” that they have been present in the United States for at least the past two years. We can expect that ICE will try to detain and quickly remove these individuals. In light of this Executive Order, undocumented immigrants, their families, their advocates and all Americans should be aware of the expansion of the Expedited Removal, the limitations on Expedited Removal and a person’s rights in Expedited Removal proceedings. - can demonstrate that they have continuously physically present in the United States more than two (2) years prior to the date of apprehension. - indicate their intention to apply for asylum or who have fear of persecution. - are charged with removability or inadmissibility other than under INA § 212(a)(6)(C) or 212(a)(7). 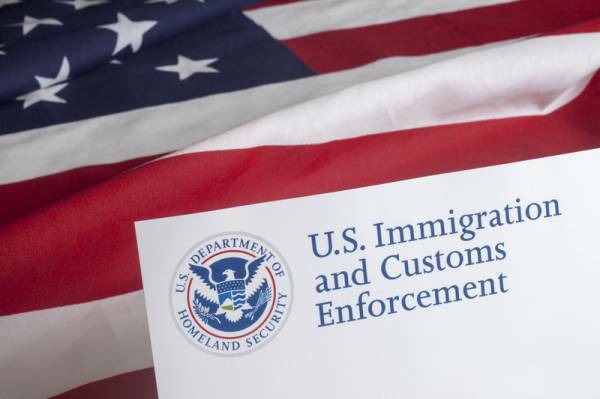 Since Expedited Removal can only be utilized for individuals in the United States for less than two years from the date of apprehension, if a person has been in the United States for more than two years from the date of their apprehension, it is critical that the person clearly tell the ICE Officer that they have been in the USA for more than two years and request that they be placed in Removal Proceedings under Section 240 of the Act. Individuals who have been continuously present in the United States for more than two (2) years, must vigorously contest that they are subject to Expedited Removal. Further, Expedited Removal cannot be used for individuals who have a credible fear of persecution in their home country on account of their race, religion, nationality, political opinion or membership in a particular social group. Therefore, if an individual is detained and placed in Expedited Removal proceedings and he or she has a fear of persecution in their home country, they must express this fear to the ICE official handling their case. This entitles the person to a Credible Fear Determination by an Asylum Officer. If the person has an attorney, the individual should also request that their attorney be present for the credible fear interview. An individual who has been apprehended by ICE and who is not subject to Expedited Removal, will be placed in Immigration Removal Proceedings under Section 240 of the Act. As noted above, many of these individuals will be eligible to request release from immigration detention on bond. These individuals will also have the opportunity to defend themselves against removal before a U.S. Immigration Judge in immigration removal proceedings. Although the prospect of being placed in Section 240 Immigration Removal Proceedings may not sound pleasant, Section 240 Proceedings ensure that an individual’s due process rights are honored and that they have an opportunity to be fully considered for any immigration relief for which they might be eligible. Some undocumented individuals in the United States will not be able to establish continuous physical presence for at least two years and will not have a fear of persecution in their home country. These individuals are subject to Expedited Removal under the new Executive Order. Importantly, as noted above, these people have the right to due process of law in Expedited Removal proceedings. U.S. v Raya Vaca, 771 F3d 1195, 1203 (9th 2014). The Due Process Clause applies to “all ‘persons’ in the United States, including aliens, whether their presence here is lawful, unlawful, temporary or permanent.” Zadvydas, 533 U.S. at 682. “There are literally millions of aliens within the jurisdiction of the United States. The Fifth Amendment, as well as the Fourteenth Amendment, protects every one of these persons from deprivation of life, liberty, or property without due process of law. Even one whose presence in this country is unlawful, involuntary, or transitory is entitled to that constitutional protection.” Mathews v. Diaz, 426 U.S. at 69. What does Due Process of law look like in Expedited Removal proceedings? The Regulations outline a very specific procedure that an ICE Official must complete in order to effectuate Expedited Removal against an individual in the United States. 8 CFR § 235(b)(2)(i). 1) The ICE Officer must create a Record of Proceeding using Form I-867AB, Record of Sworn Statement in Removal Proceedings. 6) The individual must sign and initial each page of the statement and each correction. 8) The ICE Officer must provide the individual the opportunity to respond to the charges in the sworn statement. 11) The individual in removal proceedings must sign the Order of Expedited Removal to confirm receipt. 8 CFR § 235(b)(2)(i). Individuals who do not wish to be removed without a hearing should request to see their attorney immediately upon apprehension by ICE authorities. Individuals who do not wish to be removed without a hearing, should not provide any information to the ICE Officer regarding their identity, alienage or admissibility without their attorney present. Individuals who do not wish to be removed without a hearing should not sign any documents requested by an ICE officer without an attorney present. We encourage individuals to Know Your Rights, have a plan in place if you or a family member is detained or apprehended by ICE, to make sure documentation of at least two years of residence in the United States is organized and easy to access, and to contact an experienced immigration attorney if necessary. For information, please contact Kolko & Associates, P.C.